This month and the next will see the UK theatrical releases for Studio Ponoc’s first feature-length anime film Mary and the Witch’s Flower by director Hiromasa Yonebayashi (Arrietty), and today the pre-orders for the official home video release are now available. On 10th September 2018 the film will be available to own on Blu-ray, DVD and a limited edition Blu-ray Steebook. The film will be distributed by Altitude Film Distribution, known for releasing award-winning & nominated films Loving Vincent and Moonlight. Amazon also lists that an Audio Description will also be included with the release. The UK theatrical release of Mary and the Witch’s Flower is on 10th April in Japanese with English subtitles and 4th May in English. You can book your tickets on the official website! 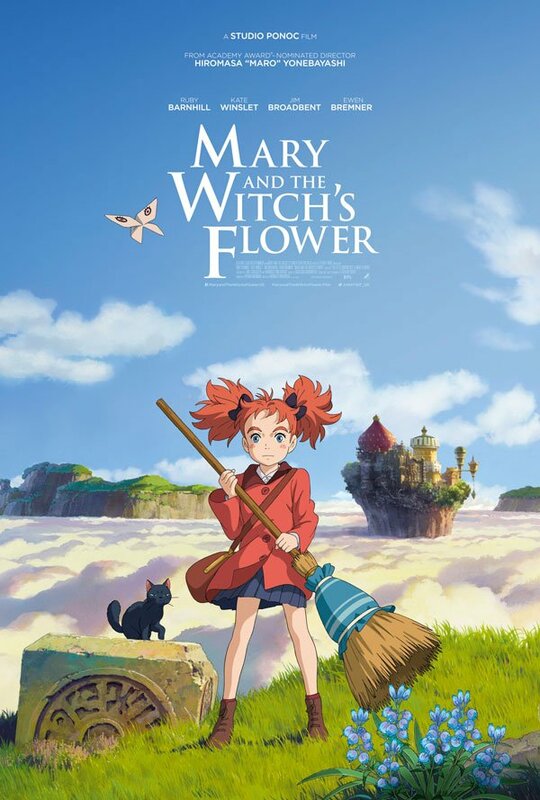 Launching Films has seemingly revealed the UK theatrical release date for Hiromasa Yonebayashi and Studio Ponoc’s “Mary and the Witch’s Flower”, releasing here courtesy of Altitude Films. From Studio Ghibli alumni Hiromasa Yonebayashi (When Marnie Was There), Mary and the Witch’s Flower will be receiving limited preview screenings, UK distributor Altitude confirms.